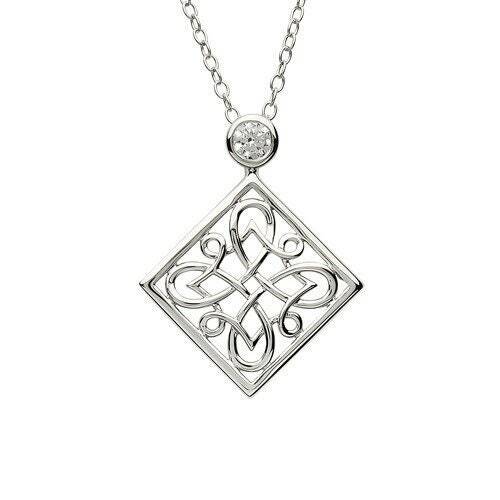 This is an elegant Celtic knot with a diamond shape. A high quality piece that will turn heads and Ian uniquely feminine. The Swarovski crystal give the piece a classy bit of sparkle. A beautiful gift. The use of knot work design is a practice that began early in human history. In the third and fourth century AD knot work designs were used in floor mosaics in the Roman Empire. Celtic knot designs developed from plait work, which was an unbroken, woven cord design used in many cultures around the world. 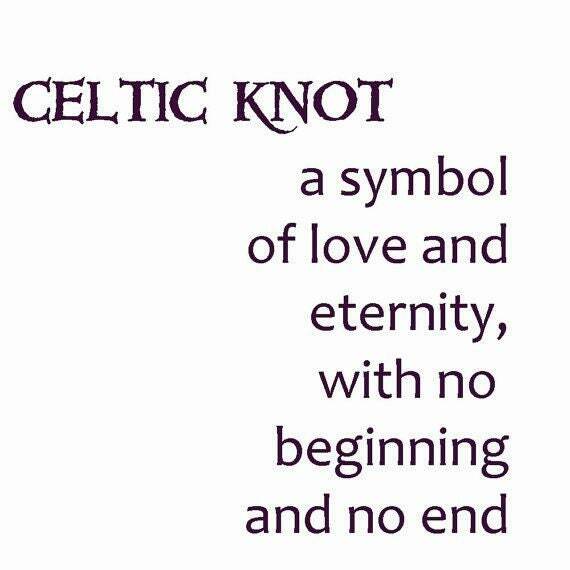 The true unbroken and interconnected knot work that is characteristic of Celtic knot designs began around the 7th century in northern Italy and southern Gaul. The style that would eventually give rise to Celtic knot design was then spread to Ireland and England. Although this type of illumination is most often associated with the Celtic people, it was also used extensively in England as well as the rest of Europe. As a whole, Celtic knot designs have become a symbol of cultural pride for those with Welsh, Irish or Scottish heritage.